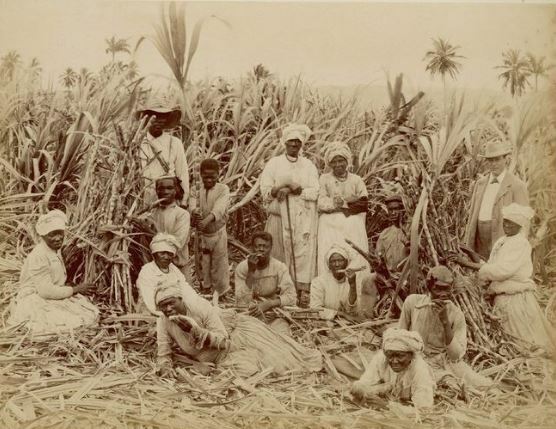 Crop Over once called “Harvest Home” had its early beginning on the sugar cane plantations during slavery. Since then the festival has evolved into the colourful street parade that it is today. 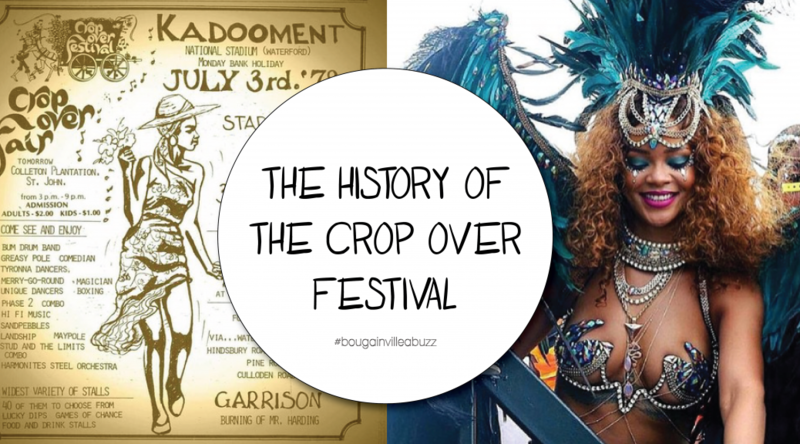 Here is a brief walk through the history of the Crop Over festival in Barbados. The Crop Over tradition began in 1687 to celebrate the end of the sugar cane crop. The last of the season’s crop was brought into the mill yard decorated with bright flowers like hibiscus and bougainvillaea. The first cart was usually led by a woman in a white dress with an elaborate white head-tie with a freshly picked flower tucked into it. (She would be equivalent to the frontline dancers in the modern-day street parade.) She was accompanied by the various sugar cane workers all carrying the final loads of canes. The last cart carried ‘Mr. Harding’ made of cane trash stuffed pants and coat. ‘Mr. Harding’ symbolised the ‘hard time’ between sugar crops when employment was low and money was scare. The parade of people would circle the mill yard 3 or 4 times so an enthusiastic crowd would gather to see the decorations and sing and dance together. ‘Swank’ was a favourite drink back then. It was made of cane liquor diluted with water, molasses, mauby, coconut water, rum and falernum – a very sweet alcoholic drink. The Tuk Band and its troupe of folk characters like Shaggy Bear, Mother Sally, Donkey Man and Stilt Men were present at the Crop Over of the past and are still present today. Researchers believe that these folk characters are deeply rooted in African ancestral worship along with the music and dance practised at the Crop Over festivals on the plantation grounds. Like today, the music of the past had witty lyrics and a rhythmic beat, in the past the songs were often composed on the spot! 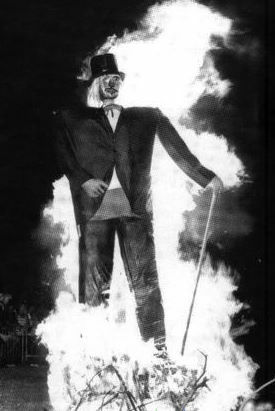 The parade would end with the burning of ‘Mr. Harding’ to symbolise hope that the hard times would not be too rough. The Crop Over festival was disbanded due to the harsh effects of World War II on Barbados and the decline of the sugar industry. In an effort to fill the void left by the absence of the festival, the Junior Chamber of Commerce began to host an annual ‘carnival’ at Kensington Oval. This event featured float parades, masquerade bands, calypso contests and beauty pageants. It did not gain much popularity and after 6 years, in 1964, it came to an end. 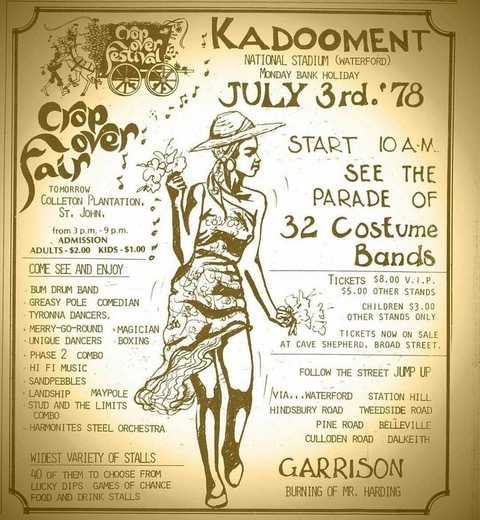 In 1974, the BTA (Barbados Tourism Authority) revived the Crop Over festival. The planning committee included local stakeholders like Julian Marryshaw and Emile Straker. Their goal was to create an event that would attract tourists to the island during the ‘slow season’ which coincided with the Crop Over season. The festival began to mimic the popular Trinidad Carnival while keeping the most of Crop Over traditions alive, including the burning of ‘Mr. Harding’, the Tuk band and the Calypso and Soca music contests. Excited crowds would gather at the Garrison Savannah for the annual burning of ‘Mr. Harding.’ Unfortunately, due to lawless behaviour of the crowd, such as throwing rocks and other things through the large fire, the event was discontinued in the early 1980s. The NCF was established in 1983 and has been hosting the Crop Over festival every year since then. Over the years the festival has evolved, some traditions were lost while new ones have emerged. 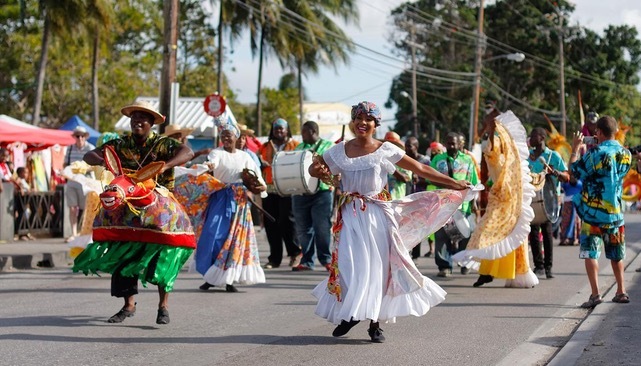 The NCF focuses on showcasing all aspects of Barbadian culture including fine arts, music, dance, food and more at this internationally attended annual festival. The Crop Over festival has evolved from a celebration of the end of the sugar cane season to a local celebration of thanksgiving to an internationally recognised event. 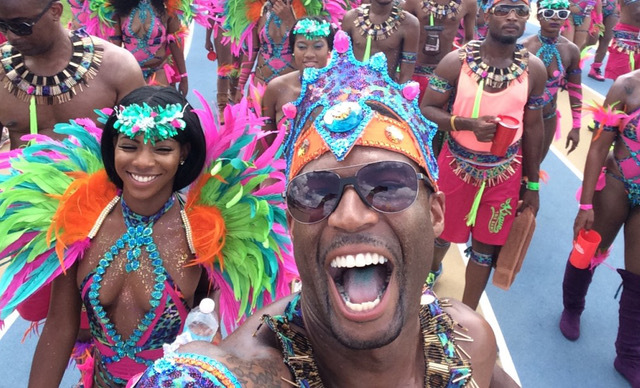 Thousands of visitors and Caribbean diaspora return to the island annually to be a part of the celebrations. In 2014, the Crop Over Festival generated $80 million in economic activity over the 8-week period. The once ‘slow season’ on the island is now booming with parties, events and life. Barbadian born superstar Rihanna is known to attend the Grand Kadooment Parade annually along with other celebrities and their swarms of paparazzi. A great chance to showcase Barbados and the rich culture of the Crop Over festival to the world. Today the Crop Over festival ends with Grand Kadooment Day. Colourful masquerades celebrate in a street parade from the National Stadium to Spring Garden Highway. It is truly a party unlike any other. Enjoyed reading this? Check out our Bougainvillaea Buzz Blog to learn more on Barbados.